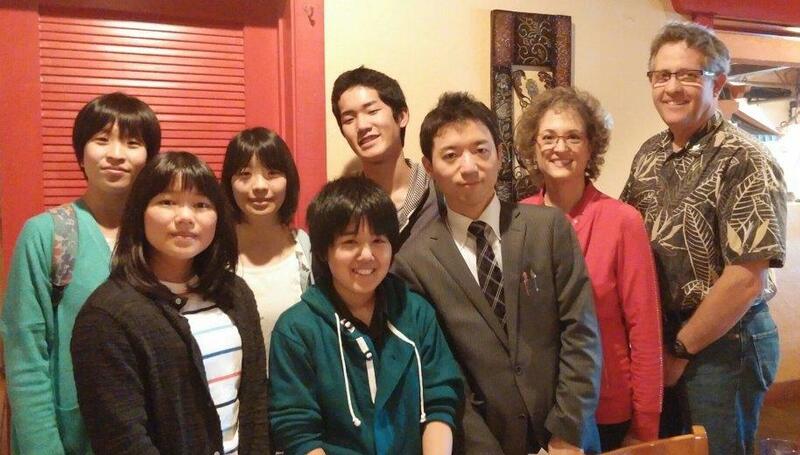 Castro Valley Rotary Club welcomed a group of students from Sado Island, Niigata, Japan. The group met Castro Valley Rotarians and had lunch with them on March 18, arranged by CV Rotarian and CSUEB Executive Director, International Programs Dr. Ray Wallace. The group (four high school students, one junior high school student and their chaperone) came to Hayward on March 15 and will be leaving March 30 as part of an exchange program with Mt. Eden High School. As part of their program, the group were at California State University East Bay March 18-20 for English classes offered by ALP. Visiting Japanese students and chaperone pictured with Dr. Heidi Hausauer, Incoming President of Castro Valley Rotary, and John Aufdermauer, President of Castro Valley Rotary.